Subtle detailing brings this casual armchair to life. While it appears simple at first glance, look closer and you will notice the subtle camelback silhouette and two patterns of nailhead stud. Medium nailheads with a brass finish are closely spaced on the arm panels, and farther apart on the chair base. 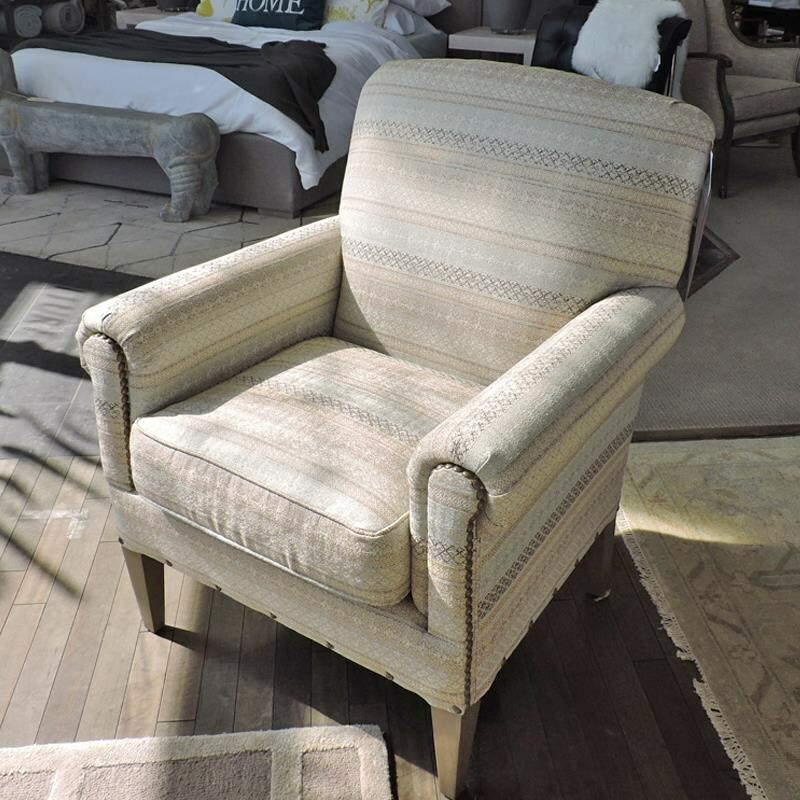 The 042410 Camelback Accent Chair with Two Patterns of Nailhead by Craftmaster at Belfort Furniture in the Washington DC, Northern Virginia, Maryland and Fairfax VA area. Product availability may vary. Contact us for the most current availability on this product.